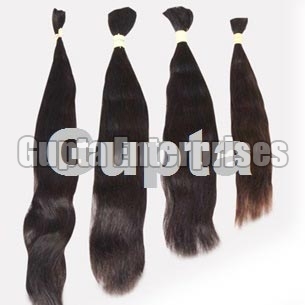 Gupta Enterprises specializes in manufacturing, exporting and supplying the finest quality Single Drawn Remy Hair. The natural look and versatility of the Single Drawn Remy Hair make it a popular choice amongst the clients based all across the world. The Single Drawn Remy Hair is smooth, silky, lustrous, tangle free and easy to comb. We offer Single Drawn Remy Hair to the clients in different shades and lengths at fair prices.